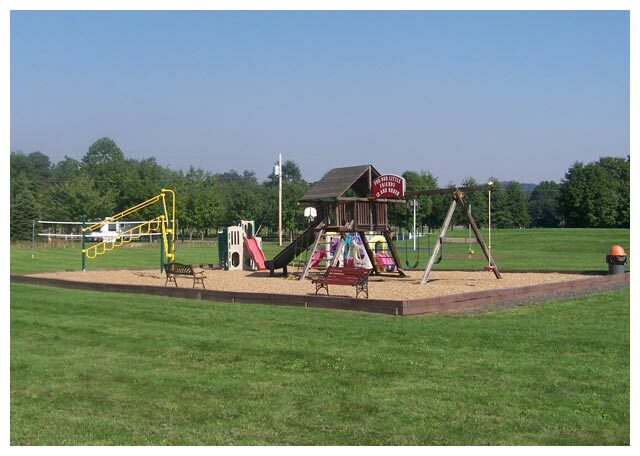 J&D Campground offers the very best in family camping. 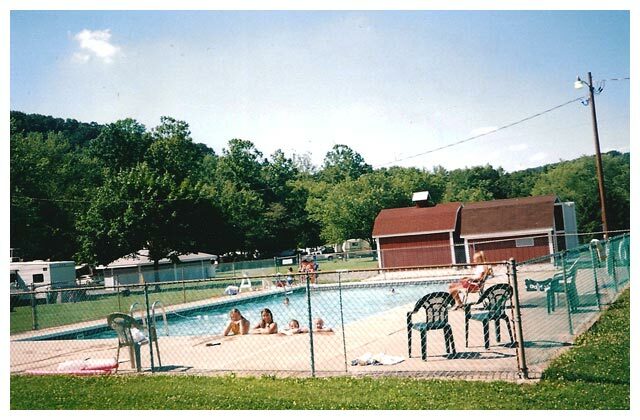 Whether you are simply looking to relax or to enjoy some quality time with your family, J&D Campground has something for everyone to enjoy. While we have several planned activities throughout the season, there is plenty to do on your own. Just check out some of the fun things you can do at J&D. Enjoy a refreshing dip in our life-guard supervised pool.. Our pool is a modern filtered pool with plenty of room for you and your family to cool off on those really hot summer days. Please note that our pool is open weekends only from Memorial Day through the 2nd weekend of June, and the week before Labor Day. Let the kids have fun in one of our two playgrounds. Your kids will have a ball on the slides, swings and other things found in the playgrounds. 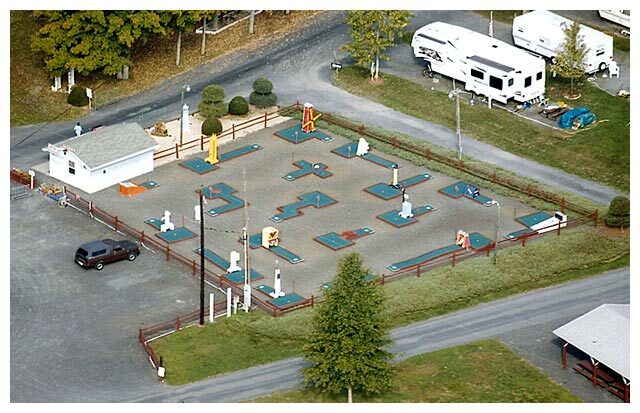 Challenge your family and friends to 18 holes of miniature golf. Trout and bass fishing are available. 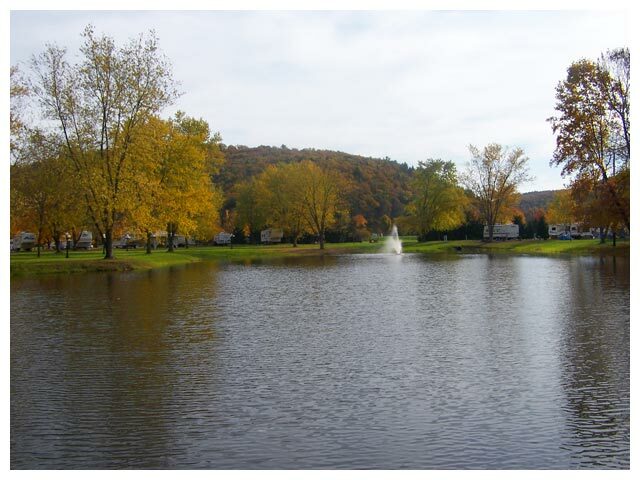 There is one large pond and 2 streams for your convenience. The stream is stocked 4 times per year with trout and the pond contains Bass, Sunny, Catfish, Bluegill. Enjoy your catch over a hot fire or grill. It doesn't get much better than this! 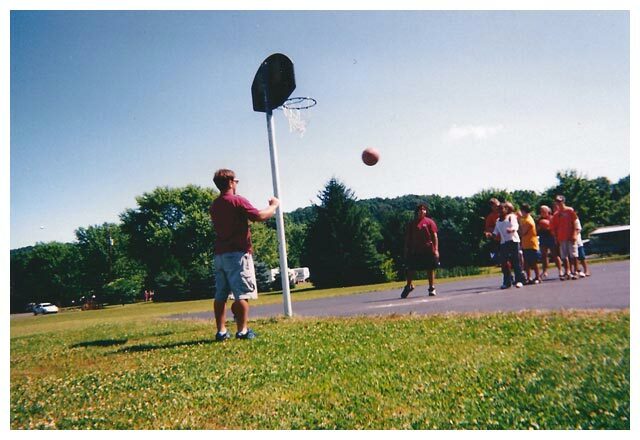 There are provisions for activities such as basketball, volleyball, badminton, tetherball and more. There is a basketball court, volleyball/badminton area, and horseshoe pits for the days you feel like doing something active. 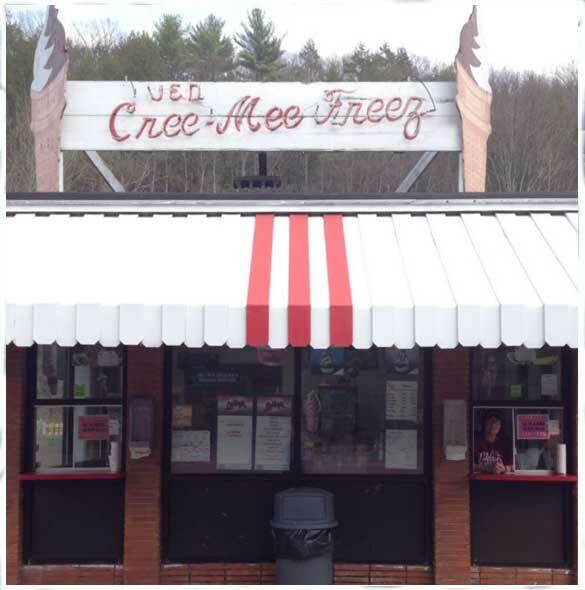 Stop over to our Cree-Mee-Freeze which has been family run since 1959! Cool down with delicious soft or hard ice cream, milkshakes, or sundaes! It's vacation, so forget about cooking and enjoy the extensive hot menu. Outdoor and covered seating available! 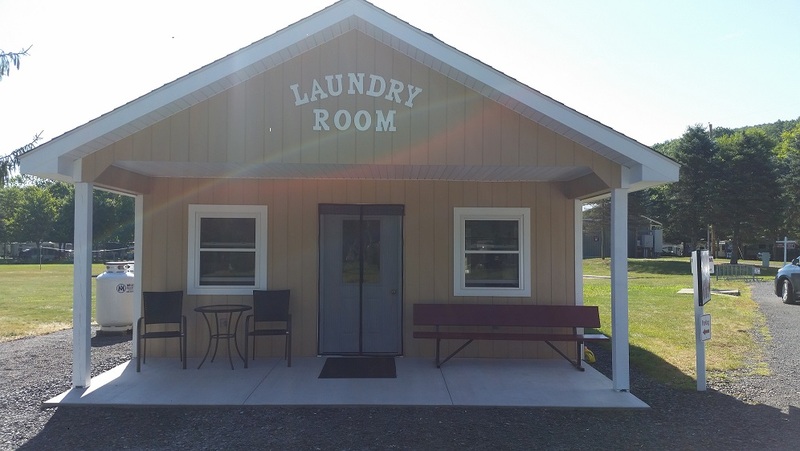 Washers and dryers are centrally located near the shower rooms, playground and swimming pool A great reason to camp a few days longer.